Florida Based Lash Academy Accredited By The Better Business Bureau (BBB) With An A Rating For Excellence In Promoting Unsurpassed Business Practices. Highest Rated Eyelash Extension Academy In The State Of Florida For The Second Year In A Row With A 5 Star Google Raking As Voted By Our Students! Locations: Miami, Tampa, Orlando, Jacksonville and Atlanta, GA.
To read more about the company please visit the About Us section. For answers to most frequently asked questions please visit our Training FAQ section. 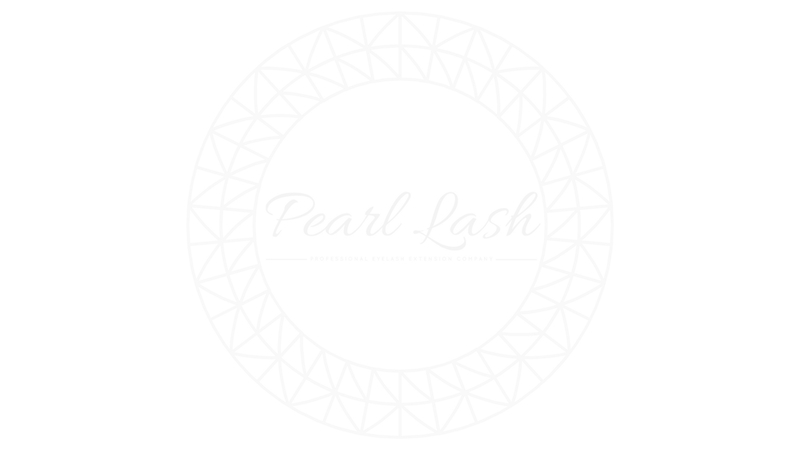 For up to date Pearl Lash class options, schedule and cost information please scroll down. Pearl Lash Classic Training© – This introductory training course is designed for beginners and is recommended for students with little or no prior eyelash extension experience. The key objective of the True Natural Classic Eyelash Extension Set is achieved by applying a single eyelash extension to every single natural lash on the clients eye. Detailed course curriculum is outlined on each individual training registration page. Each student will be provided with a Pearl Lash exclusive professional training manual. Pearl Lash does not offer online eyelash extension training. Upon completion of this one day class, a student will be awarded a Certificate of Completion, Direct text/phone line to his/her Master Trainer for continuous support, Information on free lifetime refresher training, opportunity to be listed on Pearl Lash Professional Network Of Lash Artists and a student advantage product discount code including free shipping on all products. Training cost includes all classroom supplies. Optional take-home Eyelash Extension Starter Kits are available online or at all training events. For answers to most common questions please visit our FAQ section. Interested in being a model for one of our upcoming classes? Register here. Pearl Lash Volume Training© – An advanced class designed for students with prior Classic experience. A firm fundamental knowledge of the Classic eyelash application is strongly suggested before enrolling in this class. The key objective of the True Volume Eyelash Extension Set is achieved by applying multiple eyelash extensions to every single natural lash on the clients eye. Detailed course curriculum is outlined on each individual training registration page. Each student will be provided with a detailed training manual. Pearl Lash does not offer online eyelash extension training. Pearl Lash Keratin Lash Lift Training© – Designed for students with various levels of experience, from novice to expert. For the latest news and event pictures please visit out Blog. Pearl Lash is the First Eyelash Extension Academy in US to be accredited by the Better Business Bureau (BBB) with a Certificate of Excellence for Promoting Unsurpassed Business Practices and Providing Exceptional Customer Support. We are the only 5 Star Google Rated Academy in Florida voted by our students for many reasons! We are committed to providing a cost effective premium quality education, conducted only by Pearl Lash Master Trainers that is unmatched. You do not need to spend thousands, please read what our students have to say! 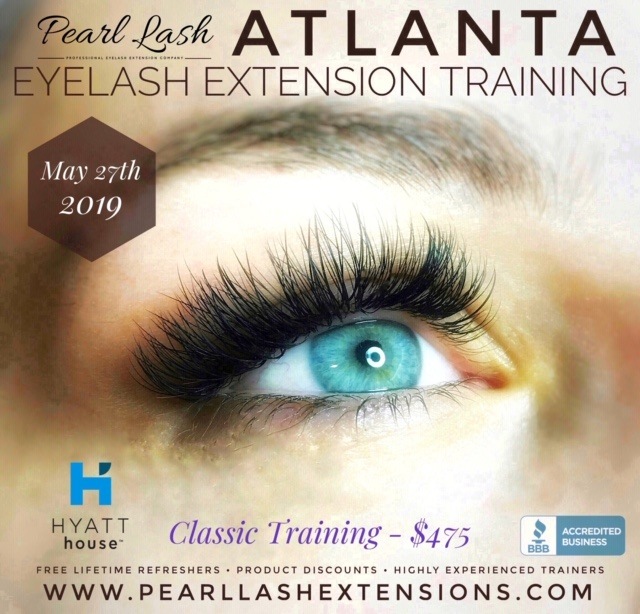 On top of our high quality professional eyelash extension training and certification, Pearl Lash offers continuous support from our master trainer, discounts on all professional products including free shipping, free lifetime refresher training, access to Pearl Lash student only advanced training classes, Pearl Points program for additional discounts on your supplies and much more! To read more about our company please visit the About Us section. For answers to most frequently asked questions please visit our Training FAQ section. We are a Florida based company with a worldwide reach, committed to providing each student with a high quality individualized Eyelash Extension Training that is very diverse and focused on continuous success. 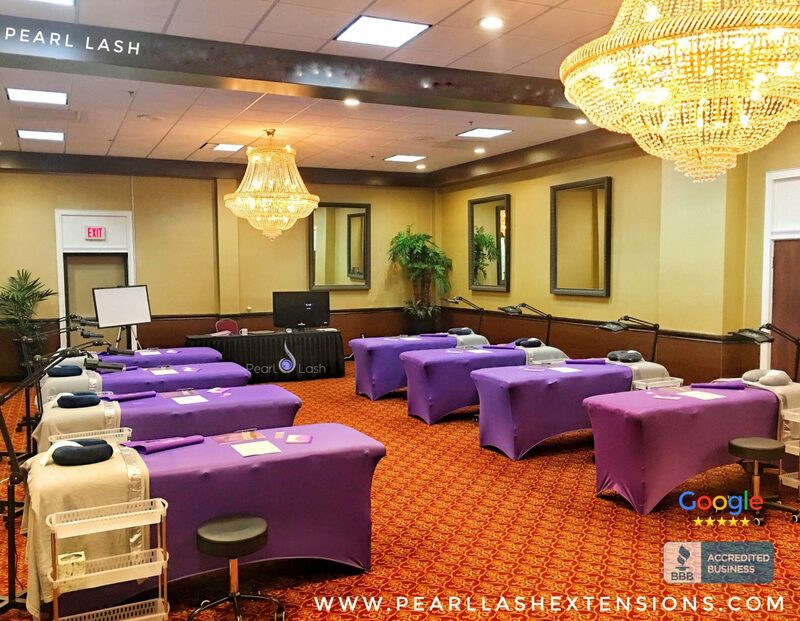 Pearl Lash provides a wide spectrum of in-depth training curriculum starting from the very beginners all the way through experienced professionals looking to obtain the latest techniques or just sharpen their skills. Classes held in Tallahassee, Jacksonville, Orlando, Tampa, Boca, Daytona Beach, Panama City, Gainesville, Atlanta and Miami with new locations to be announced this year. We also offer our special Salon and Spa customized training sessions for licensed businesses looking to add eyelash extension, eyelash lift and keratin treatment to their repertoire, improve the skills their entire team or just a few individual employees. 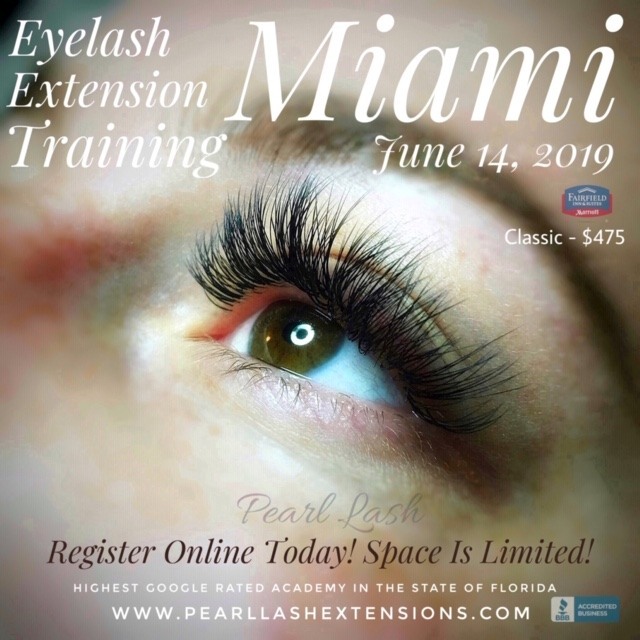 Pearl Lash Is The Highest Rated Eyelash Extension Academy In The State Of Florida.